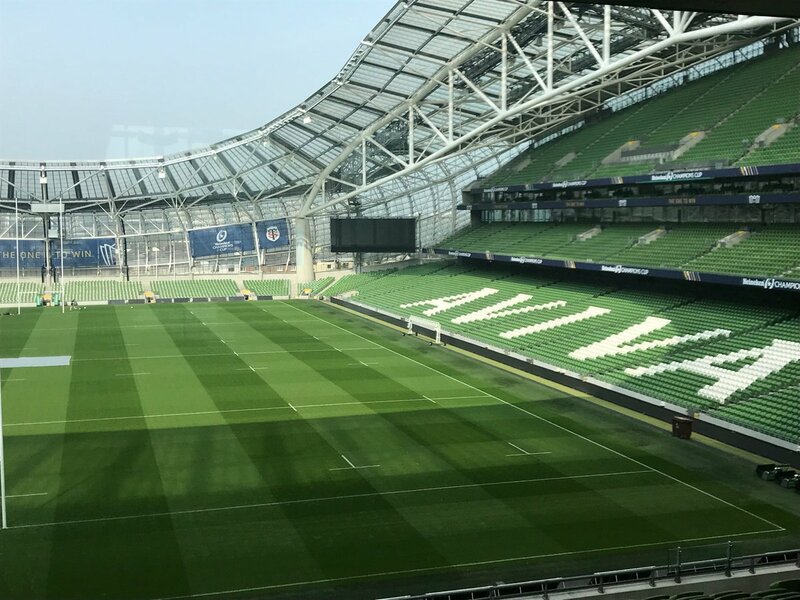 Other: A world class purpose built Rugby venue. Renowned internationally for its unique history and atmosphere. 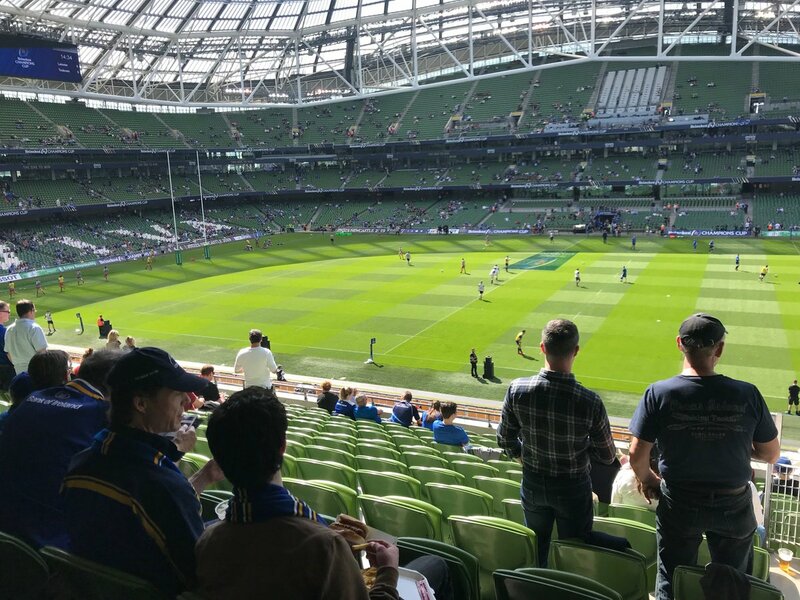 Quantity: 86 x screens located all around the ground with 25 on Premium and Box Level plus 1 x Giant Video Screens – all with audio! Quantity: Availability varies from season to season. Location: Full range at Pitchside and also on first Tier of East & West Stands. 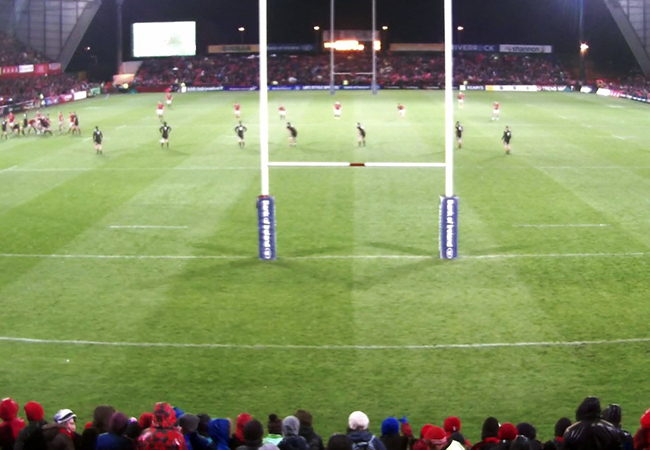 Quantity: We have 2 x 48 Sheet fully illuminated sites available on the exterior of this famous ground. 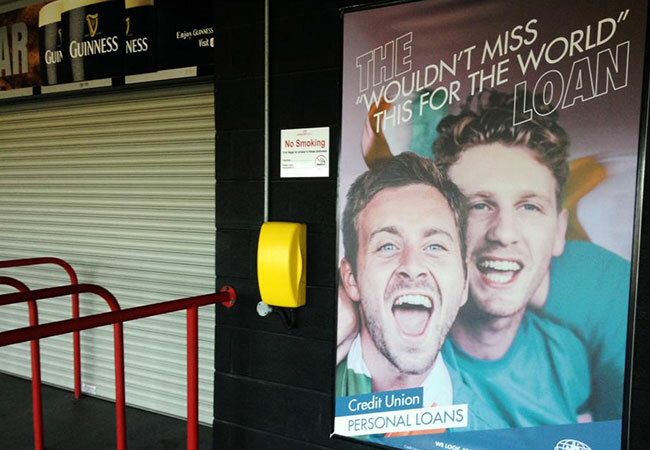 Location: Right on the road-facing exterior of the South Terrace end, the only commercial advertising on the exterior of this famous ground. 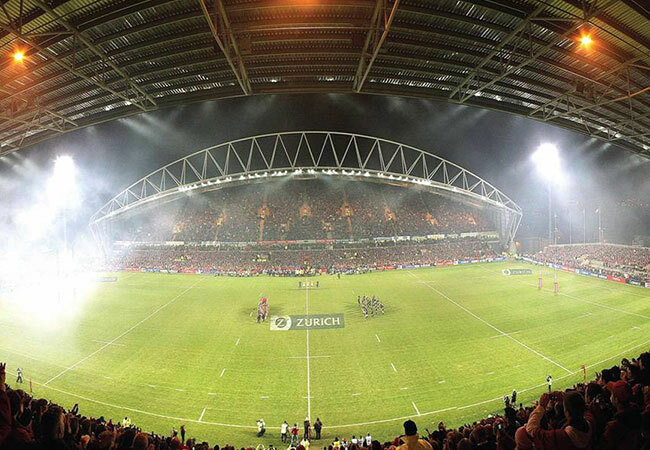 Coverage: Each delivers full 24/7/365 visibility for your brand and the kudos of brand association with Thomond Park – officially the most famous club ground in the world. 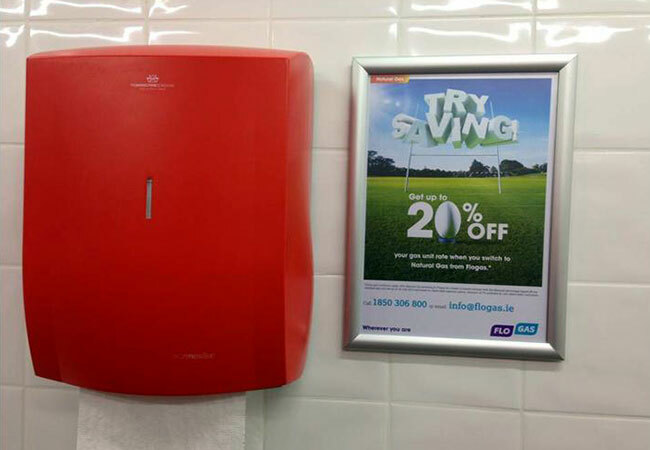 Result: A truly great opportunity for brand positioning and also brand messaging. Quantity: 600 x A3 Advertising Sites. 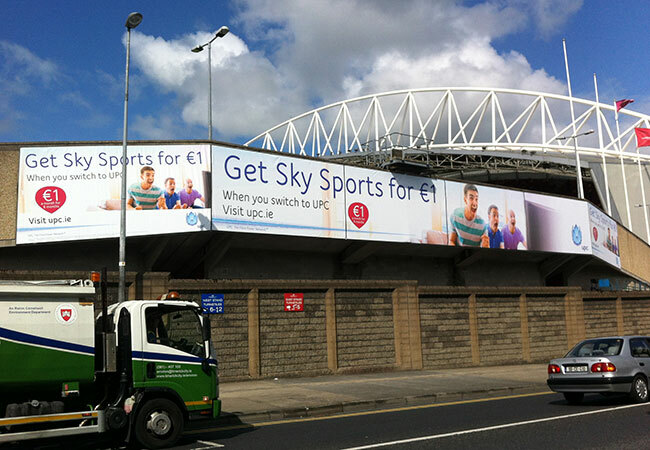 Quantity: 1 only but this is pitchside advertising GONE MAD – a whole 60 mtrs for your brand only. 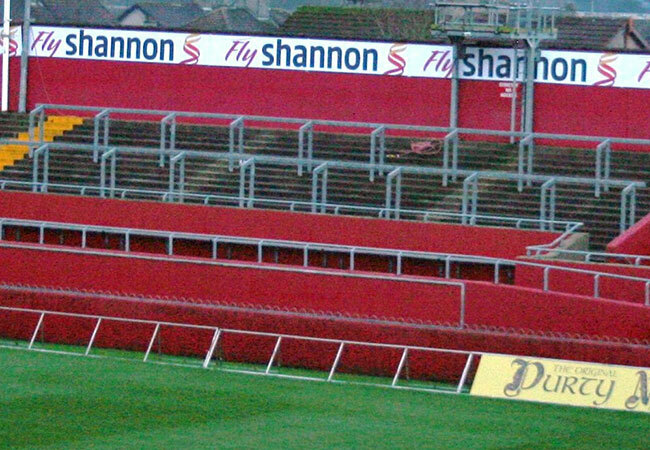 Location: A full 60 mtrs at the rear of the South Terrace above the heads of the fans. TV Coverage: Full TV visibility for your brand. South Terrace end used for TV On-Pitch interviews! 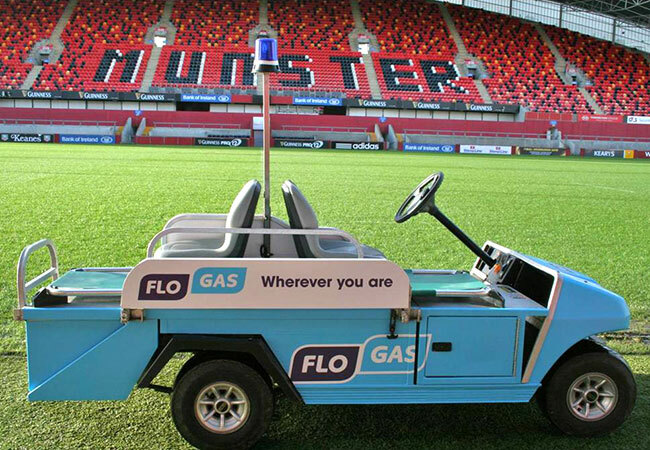 Location: The Medical Buggy provides a unique opportunity for the right brand – this is a first for Irish & European sport. Coverage: In full view of attending fans – full circuit of pitch before Kick Off / @ HT / Post Match and the potential for unlimited TV coverage. 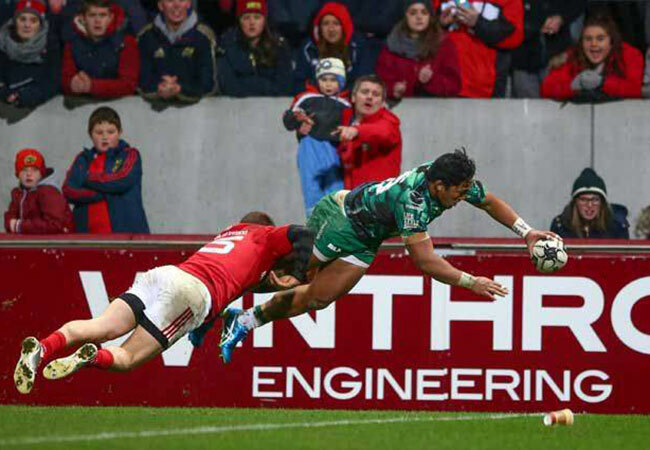 Result: BIG brand noise for the right brand!